Ferrari's sandbagging tactics in Formula 1 pre-season testing, when Sebastian Vettel lifted off on the main straight to disguise Ferrari's true potential, has left rivals Red Bull worried. 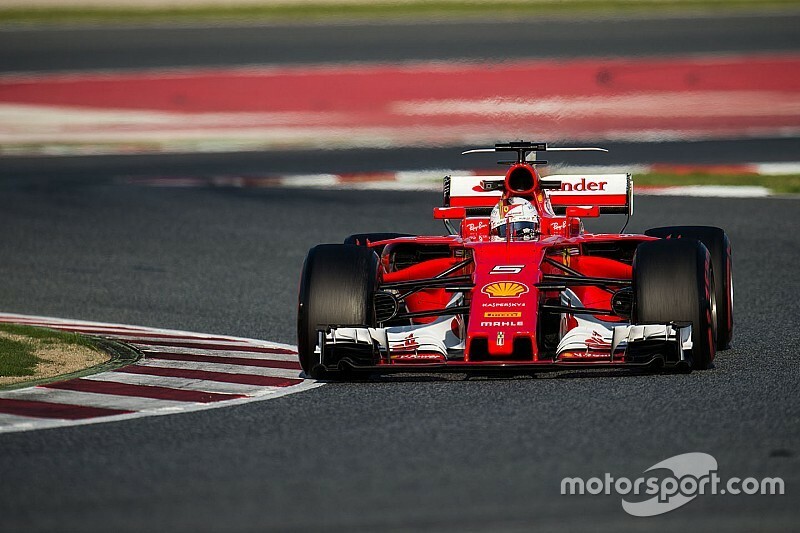 Vettel deliberately teased the opposition when, during his final day of running, lifted off coming out of the final corner on his quickest laps to not reveal the full speed of his new SF70H. While the German downplayed what happened, Red Bull motorsport chief Helmut Marko said his team was slightly concerned about the pace of Ferrari, and that the Italian team had been confident enough to employ such gamesmanship in testing. "Ferrari is very strong and reliable as well," Marko told Red Bull's Servus TV channel. "That's the difference to last year. "What worries me somewhat is I know Vettel very well. He provocatively lifted on his fastest lap on the start and finish straight. Everybody could tell. "And if you do something like this, then your self-confidence and the knowledge about having a lot more in the car is huge." With the times between Ferrari, Red Bull and Mercedes believed to be close, Marko thinks the true pace any of the cars has not been seen yet thanks to fuel loads and engine mapping settings used in testing. "Nobody has shown their cards properly," he said. "If you carry 10 kg more fuel, you gain about 0.35 seconds. Furthermore, engine mappings differ. This can gain you up to one second – or it doesn't. "A lot has been kept in the dark. But if the race [Melbourne] would have taken place with the same kind of temperatures we had [in testing] then Ferrari would be in front, for sure." While Red Bull's test programme was affected by reliability problems with Renault, Marko says that it is expecting good progress for Melbourne – as he hinted at major updates to come. "We had a few nasty failures. Actually, it was the same one each time," he explained. "Therefore we weren't able to make the amount of progress we had aimed for. "Traditionally, for Melbourne, there will be a lot of new parts that look different too. But the livery will stay the same." Marko also thinks Mercedes' new driver Valtteri Bottas has not yet shown he is a match for Lewis Hamilton, something he reckons could open doors for rivals to get closer to the British driver if Mercedes is at the front. "Barcelona has shown that Bottas cannot go at the speed of Hamilton," he said. "Should Mercedes have the same kind of technical dominance, there will not be the same 1-2 formation again. "Then, others will be able to place themselves between the Mercedes drivers." Will Lewis Hamilton bounce back stronger in F1 2017 after a “year of growth” ?